I've always had issues with my skin, stemming back from when I was a teenager and dealing with the typical break-out troubles. Only those break-outs carried on into adulthood. Shortly after my wedding, my dermatologist told me I had "adult acne" and I think I cried about the diagnosis the whole way to the pharmacy, toting my bag of prescriptions and expensive facial lotions that left my skin red, stinging and dry. My pregnancy with Ethan only made my skin worse and I still continue to struggle with regulating it. A good foundation does wonders for covering the blemishes but that tends to make the problem even worse after the fact. My facial skincare has been a juggling act of trying to stay away from the harsh, stinging chemicals without giving into "teenager skin." 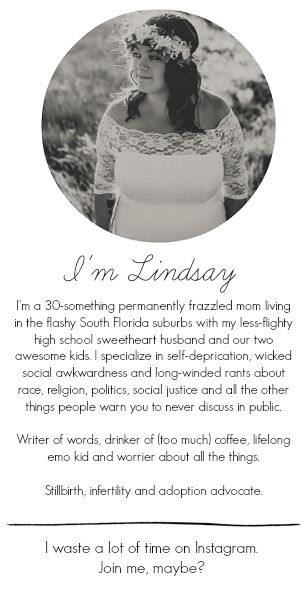 Because, you know, I'm almost thirty and therefore tired of "teenager skin." Enter Citrus Clear, a new line of holistic acne treatment products for all skin types, even super sensitive skin like mine. After just about a month of using these products, I'm in l-o-v-e. I've put these products to the test this brutal Florida summer and, while my skin isn't flawless, I'm happy to say that I can see a difference in terms of acne elimination. No matter how much I'm sweating or how much make-up I consistently apply, my break-outs have been at a minimum and my skin has felt clean and moisturized. There's been none of that dried out peeling that happens with chemical-laden acne treatments and, oh yeah, these smell heavenly. But I'll get more into that in a little bit. 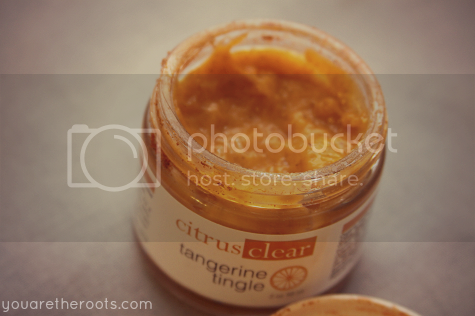 The first product Citrus Clear sent me to try was their Tangerine Tingle exfoliating scrub. I love to exfoliate my face a few times a week, just to keep the skin fresh and clear. My skin is so sensitive that a lot of stronger, harsher exfoliants tend to aggravate it and cause redness. I like this product because it can be used as both a facial mask or a facial scrub. I admittedly use it more like a facial mask, just because I like the cleansing, tingling feeling that occurs the longer I leave it on my skin. I'll usually apply this just after the shower and keep it on my face while I'm brushing my hair and rounding up pajamas. I usually affiliate citrus with morning, due to how invigorating it can be, but the Tangerine Tingle scrub makes my skin feel so calm, refreshed and relaxed (especially after my Body Back classes) that it's perfect for before bedtime, too. It's comprised of organic herbs and aloe vera and the fragrance comes from natural essential oils. In addition to gently exfoliating dead skin cells, it contains lemon oil to help brighten your complexion. 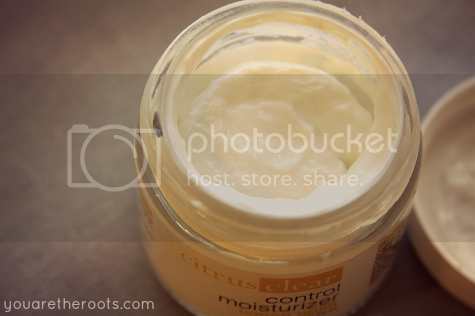 The next product I tried was the Control Moisturizer. 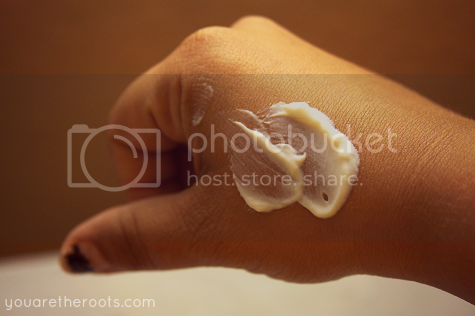 My skin tends to be a little oily, especially in the hot summertime, so I wasn't sure at first about using a moisturizer. But the Control Moisturizer is different from a standard moisturizer in the sense it doesn't make your skin oily and, in fact, is geared towards people with oily and problematic skin. (That's me!) In addition to moisturizing, the special ingredients in this moisturizer help eliminate acne and oil production. It's made up of natural citrus essential oils and has the most amazing lemon scent. I'm pretty sure it's impossible to use this moisturizer and have a bad day. True story. The moisturizer is a mousse-like consistency and I was worried it would feel heavy. To my surprise, it rubs in nicely and leaves no residue behind on your skin. Within a few minutes, it's completely soaked in and you can apply make-up or continue your day as you regularly would. I've applied this both at nighttime and also first thing in the morning before my regular make-up routine, and it's worked beautifully both ways! The last item I reviewed was the Grapefruit Acne Spot Treatment. I've been prescribed many spot treatments over the years and they all make my face sore, red and dry. I was optimistic about this one due to it's natural properties, and the fact it's safe to use more than once over the course of a day (up to five times, actually!) for really tough break-outs. This spot treatment contains salicylic acid to fight break-outs and 100% naturally derived grapefruit extract and Vitamin C to keep skin healthy and calm. I love that it also contains witch hazel as a natural astringent and green tea extract which is a great natural anti-inflammatory to combat redness. When I have a tough breakout, I've applied this morning, afternoon and evening without any redness or drying. It has obviously done wonders to keep my break-outs under control and at a minimum, without drying my skin out. LEARN MORE AND START SHOPPING by visiting www.citrusclear.com. There are a whole bunch of natural, holistic products for all skin types -- be sure to check them out! Oh man I need this stuff! My doctor has actually confirmed this. I already have acne no more book review eczema, dry and sensitive skin and you want me to add Acne to the list. 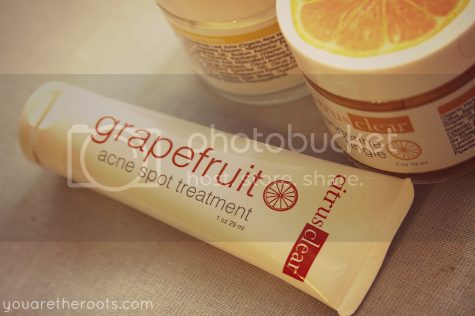 This is an amazing article regarding citrus clear holistic acne treatment.I appreciate your well described post.Acne is a skin condition that can affect teenagers or adults, but it is usually a preventable condition. If anybody takes follow your mentioned helpful tips hopefully they will get a better result. I prefer to focus on natural source like aloe Vera instead of antibiotics or other cosmetics are made of chemicals, which has adverse effects on skin. 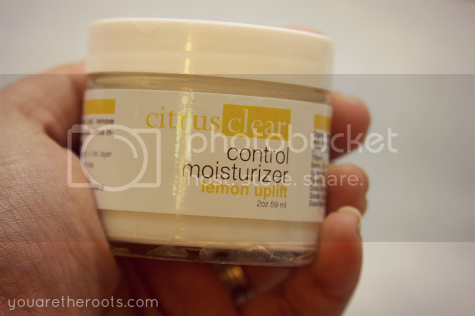 Nice review regarding citrus clear holistic acne treatment. Very helpful. It can be made by mixing 2 tablespoon of green papaya pulp with 1 tablespoon of yogurt and lemon juice.